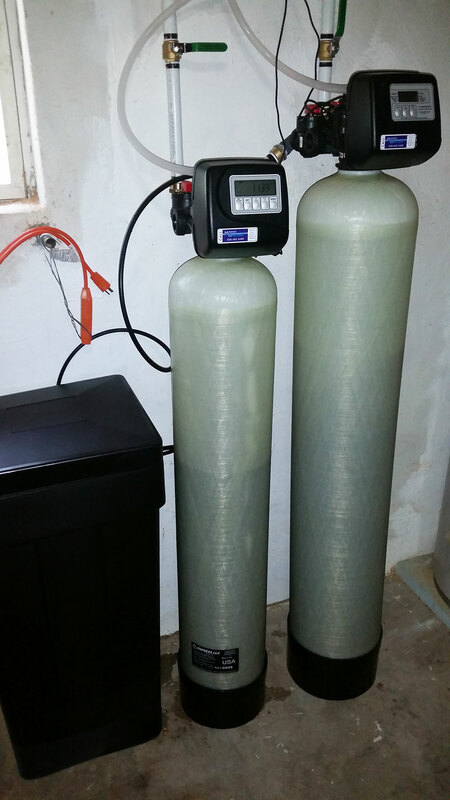 New customer was looking for a water softener type equipment and they Googled hard water and our website came up. They brought their sample bottle of water for our free water test and we determine that not only was their was water hard, but it also had a lot of iron which is the discoloration and a iron smell to the water. 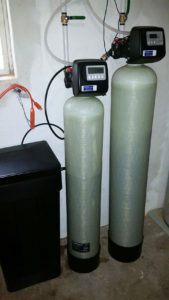 We install the softener and iron filter and went upstairs and the customers immediately noticed the difference in the quality of their water. They are actually amazed at the difference in their water. Jim and Steve went through the usual explanation of what to look for in their softener making sure that everything works perfect with the American Made products that they sell to people in Asheville and all of Western North Carolina.